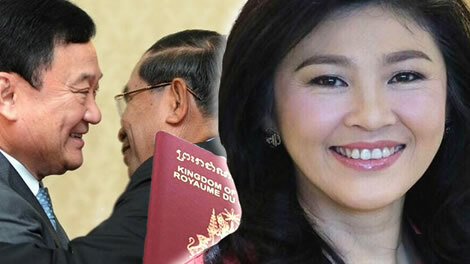 Press reports and comments from Phnom Penh suggest that either the passport, reportedly used by Yingluck Shiniwatra, in the Hong Kong company filing is fake or that she has has been granted Cambodian citizenship. The affairs casts a spotlight on the relationship between the Shinawatra family and Cambodia’s leader, Hun Sen as well as the family’s business dealings in China and Hong Kong. Cambodia’s Ministry of Foreign Affairs last week came out with instructions to cancel or rescind all diplomatic passports issued to non Cambodian nationals. 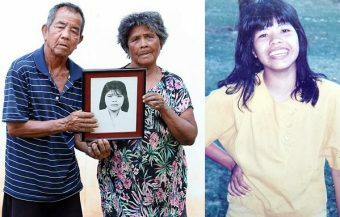 The instruction was contained in a two page document signed by Cambodia’s strong man Prime Minister of 34 years, Hun Sen. 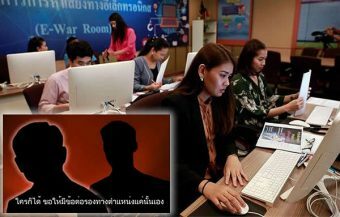 The move was confirmed by Cambodia’s Phnom Penh Post whose reporters saw the documents on Saturday last, the 12th January. 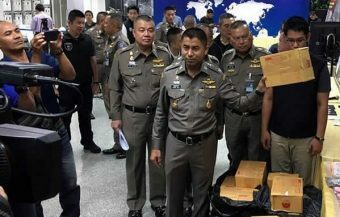 It is widely interpreted as a response to a news scoop by the Hong Kong based South China Morning Post which reported last week that the former Prime Minister of Thailand, Yingluck Shinawatra, used a Cambodian passport to register a shipping company in Hong Kong called PT Corporation which has links to a Bangkok company, of the same name, in which the shareholders are daughters of her brother and also former Thai prime minister, Thaksin Shinawatra. Based on apparently contradictory comments by Cambodian officials, it may well be the case that either the passport is fake or that Yingluck Shinawatra has been granted Cambodian citizenship. Reports last week by Hong Kong’s by a well respected newspapers that Yingluck Shinawatra used a Cambodian passport to register a company in Hong Kong have raised the spotlight on the relationship between the Shinawatra family and Cambodia’s long time leader Hun Sen as well as the business activities of the Shinawatra family in Hong Kong and China. The reports in the South China Morning Post of the company filing included sight of the Cambodian passport. Either the passport is fake or the Cambodian rejection of the fact that the former Thai Prime Minister holds a Cambodian passport is flawed or ambiguous. The reports have been rubbished by officials in Cambodia who have compared it with other sensationalist media reports from Asian news outlets in recent times, one of which suggested that Cambodia was building a naval facility for China located in its Koh Kong province. China has very close links with Cambodia, where Hun Sen was recently re elected in controversial elections that are the subject of raised tensions between his country and the western world, particularly the European Union. The two page document signed by the Cambodian Prime Minister requests that government departments and agencies arrange for the surrender of diplomatic passports held by non Cambodian nationals within one month. A spokesman for Cambodia’s Ministry of the Interior pointed out that they do not issue diplomatics passports but will be cooperating with the order from the prime minister. Meanwhile, Kin Phea, who is the Director of the International Relations Institute at the Royal Academy of Cambodia was quoted by the Phnom Penh Post as saying that it was more important to look at the relationship between Thailand and Cambodia which has not been damaged by the media speculation. He emphasized that Cambodia has denied the media reports and opined the if Cambodian officials were to spend their time following up such reports they would be very busy indeed. 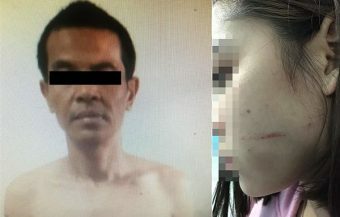 The reports follow a similar pattern to media interaction with Cambodian officials during the week after the revelations by the Hong Kong paper which published the story, based on official filings and sight of the Cambodian passport used by the former Prime Minister of Thailand, were first published. The problem with the Director’s comments is that Cambodia does issue national passports to foreigners, as a matter of routine. In fact passport are issued to a range of people including those investing in Cambodia and those marrying Cambodian nationals. A report in Cambodia’s Khmer Times reported in 2018 that 1,518 Cambodian passports were issued to foreigners from 2014 to 2017 in such circumstances. In fact, one of the sources for that article was the Director General himself. General Mao Chandara was quoted as pointing out such circumstances quite clearly. He even explained the provisions. 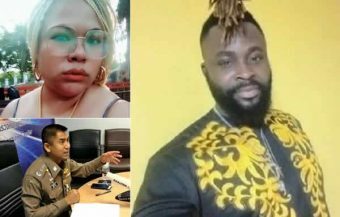 ‘The law states that if a foreigner had 1,250 million riel ($300,000 approx) to invest in the country and had a home address in Cambodia, they were eligible for gaining nationality,’ he said. Cambodia, also through its Foreign Ministry, grants diplomatic passports to essential staff in relation to consular missions and critical government business. It would appear that this latter group are the subject of last week’s abrupt recall to be completed in one month. 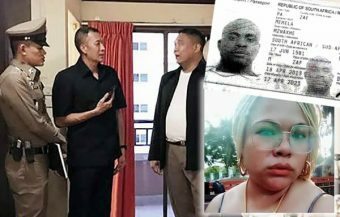 It may also be the case that General Chandara’s claims are both truthful as all the foreigners concerned may have been granted Cambodian citizenship. This could possibly be the case for the former Thai prime minister. Quite a few people in the world are aware of Yingluck Shinawatra, a beautiful woman who was Prime Minister of Thailand from 2011, when her political party, Pheu Thai, stormed to power in the Thai general election of that year to 2014 when the government was ousted by an army coup, following months of political convulsions. More people in the world may still be familiar with the beautiful movie star, Angelina Jolie and her well known association and love for Cambodia. 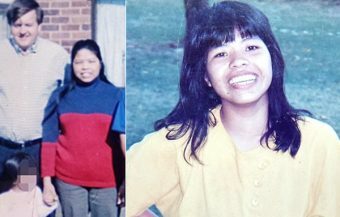 Ms Jolie was granted a Cambodian passport in 2005, having adopted a Cambodian national some years earlier and having been granted Cambodian citizenship. Meanwhile the story has given a fascinating insight into the operations of the Shinawatra family and their close links with China and Hong Kong. There have been suggestions by some experts that Hong Kong authorities should investigate the filing at the Hong Kong companies registry office. A reporting team dispatched to the building and office linked to the Shinawatra owned PT Corporation in Hong Kong found the offices of Pacific International Capital where staff offered little explanation or confirmation of any links with Yingluck Shinawatra. Meanwhile the residential address listed by Yingluck Shinawatra is a home in the exclusive and ultra expensive area overlooking the city in Hong Kong known as The Peak. The home is owned by a Singapore business woman who has been associated, in the past, with Yingluck Shinawatra. The investigation has also shown that Yingluck has only very recently been appointed Chairwoman of a company that runs a container port in China’s Guangdong province. 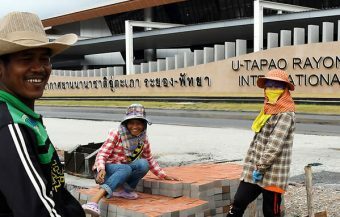 Four months after the PT Corporation was set up in August 2018, Yingluck took up the position. 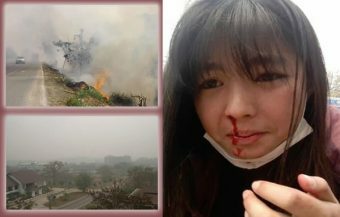 It also fits in with a recent sightings of both Yingluck and her brother Thaksin Shinawatra when they recently visited the area which is where the Shinawatra family’s ancestral home was situated before the family came to settle in Thailand. Yingluck Shinawatra has been travelling the world as a global nomad in the same fashion as her brother Thaksin since she fled Thailand in 2017, days before verdict from the Criminal Division of Thailand’s Supreme Court for Public Office Holders found her guilty of criminal negligence over her handing of a rice subsidy scheme, which was a key party part of her party’s election manifesto in 2011. 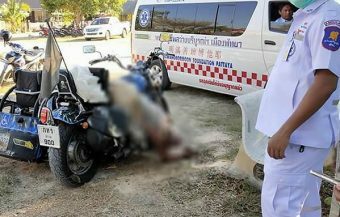 The investigation into the affair saw other colleagues and political associates of Ms Shinawatra jailed. 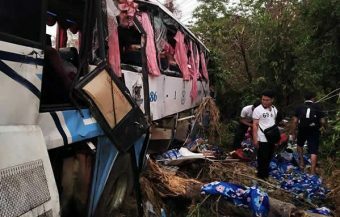 The ill fated scheme collapsed leaving many poorer farmers in financial distress and is reported to have cost the Thai state as much as $8 billion in losses. She was subsequently sentenced to 5 years in prison. 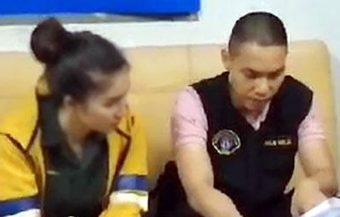 It has been speculated in Thailand that her escape from the kingdom, hours before the verdict, may have involved both inside help from corrupt officials and the co operation of a foreign government, often reported to be Cambodia. The Shinawatras are reported to have a close relations with the leadership in Cambodia. This means the long time leader, Hun Sen and his family. Both Thaksin Shinawatra and Hun Sen have long been reported to be close and loyal friends. It is a quality associated with the former Thai prime minister with reports that even some of his political foes in Thailand still retain cordial relations with the man. While the latest press reports gives us a glimpse into that relationship, it is still obscured by a firm denial from Cambodian authorities that Yingluck holds a Cambodian passport. The Thaksin family is still highly regarded in some quarters in Thailand especially among a loyal base of supporters. They are equally detested and reviled by others. The two former prime ministers continue to be well received in many countries although some are a lot more equivocal. The Football Association in the United Kingdom forced the ex prime minister to give up ownership of Manchester City football club to a consortium in 2008, indirectly placing pressure on him over the corruption charges and legal moves against him in Thailand. 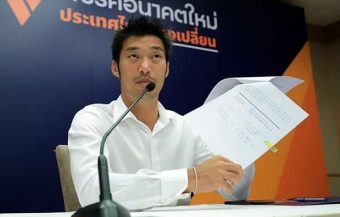 The main pressure point came from the freezing of the former government leader’s assets in Thailand at a time which put financial pressure on the club. 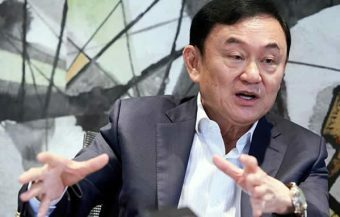 Thaksin left Thailand in 2008 on bail but failed to return and was later given a prison sentence over a corrupt land deal. 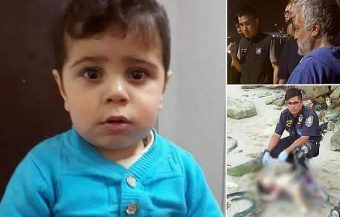 His supporters vehemently claim that this was a political persecution while his detractors, on the other side of the political divide, feel he has escaped far too lightly. For the lucky Thaksin, however, that deal worked out quite well with reports that he sold the club for twice what he paid for it, pocketing another fortune. Many foreign governments still accord the former prime minister, and his sister Yingluck Shinawatra, Thailand’s first female prime minister, the respect due to former government leaders. Both leaders have never lost an election in Thailand and recently a Thai government request to have Yingluck Shinawatra extradited was politely dismissed by British authorities. 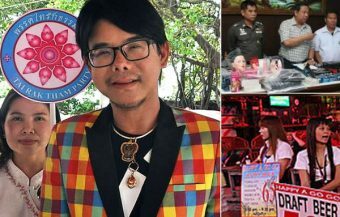 In the meantime, the family are still closely associated with Thailand’s leading political party, Pheu Thai and also in recent months to other newer parties that have been formed to contest this year’s general election. 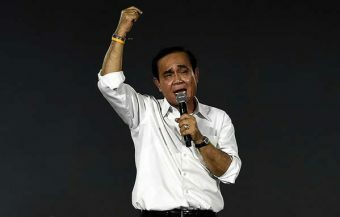 At the same time, that party is reportedly under investigation by Thailand’s election commission and may face possible dissolution because of the influence and some would claim direction, of the former leader. Although Thaksin lost the bulk of his huge telecoms and media fortune to forfeiture because of the criminal prosecutions against him after he was ousted in 2006, it is reported he retained at least one third of his wealth. As the latest filing in Hong Kong shows, he and his sister are still working to preserve and enhance their financial position. The ex PM’s latest media offering to his Thai supporters is a weekly podcast to his fans, based on financial matters, where the great man takes on the role of a life coach. There is no political content. It is this flair for marketing, innovation and self invention that makes him quite popular with his base who idealise him for his business acumen and success. It has to be said also that his influence is waning as Thailand’s politics has begun to move on since 2014. His detractors will also point to his conviction for corruption while in office and his flight from the country while on bail, as all acts that reveal a flawed character who has polarised Thailand down the middle in the last two decades. 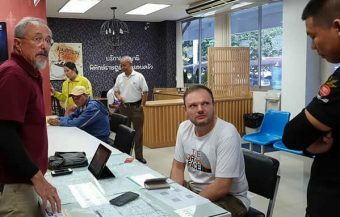 Two views of the political divide in Thailand, two contradictions, which like many other things in Thailand are difficult for foreigners to fully understand.